U.S. Bureau of Immigration, McGettrick certificates [electronic resource] : list of Chinese cases … (Washington : G.P. O., 1906) (https://www.uscis.gov/history-and-genealogy/our-history/historians-mailbox/mcgettrick-certificates : accessed 11 July 2016). The Chinese Exclusion Act went into effect in 1882 and severely restricted the legal immigration of Chinese migrants, specifically laborers. There was an exemption for students, merchants, government officials, and travelers with proper documentation. U.S.-born Chinese laborers could reenter the U.S. after a trip abroad if they could prove their U.S. citizenship. In the late 1890s and early 1900s many returning Chinese would arrive at a port on the west coast of Canada, travel by train to the east coast and enter the U.S. through the New England area. They tried to slip into the U.S. unnoticed but if they were caught and arrested they would demand a hearing to prove their citizenship so that they could obtain a “Certificate of Discharge” to be use as proof of citizenship. Word got around about which judges were sympathetic to their plight. Arrested Chinese tried to go before Commissioner Felix W. McGettrick at St. Albans, Vermont. 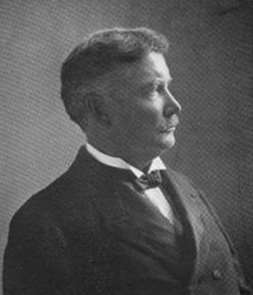 McGettrick tried and discharged over 1,100 cases between late 1894 and 1897. Because of his high volume of discharges the Bureau of Immigration started keeping track of his certificates. McGettrick denied any misconduct and was never charged with a crime; he may have just been a poor records keeper. McGettrick stated that over 300 records from discharge cases were stolen from him but this was hard to assess because he didn’t keep a docket of his cases. So many Chinese files included McGettrick’s discharge certificates that by 1905 the Bureau of Immigration decided to keep track of the certificates with his signature. This would make it easier for the Bureau to investigate suspicious files with his signature.